This week I noticed a lot of insects working. 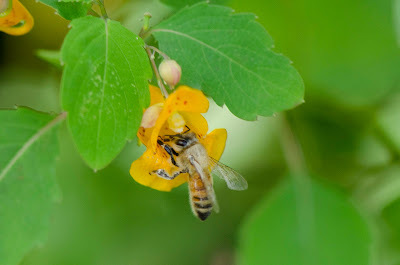 The honeybee above, for instance, is checking for pollen or nectar in a touch-me-not blossom. Click on the photos to enlarge.I also saw a few insects doing less common jobs. Like this sand wasp digging at the door of its nest. That blur behind the rear legs is sand flying into the air. 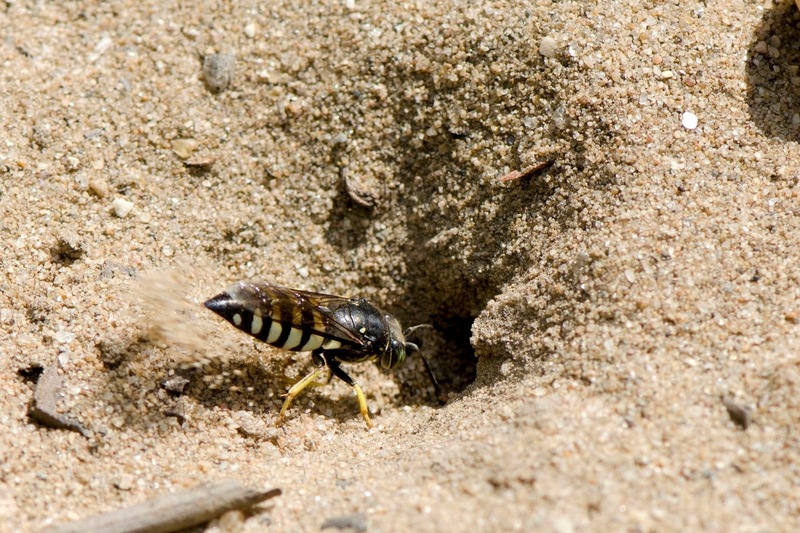 Adults typically visit the occupied nest to drop off captured prey like flies for developing wasp larvae to eat. I also saw this yellow jacket scraping fibers off this wooden post. Note how shaggy the wood looks? It seems like such a popular spot for this activity that the wasps have worn it ragged. This wasp flew away when I approached but it or another just like it returned for more. They use wood fibers for nest building and repair. 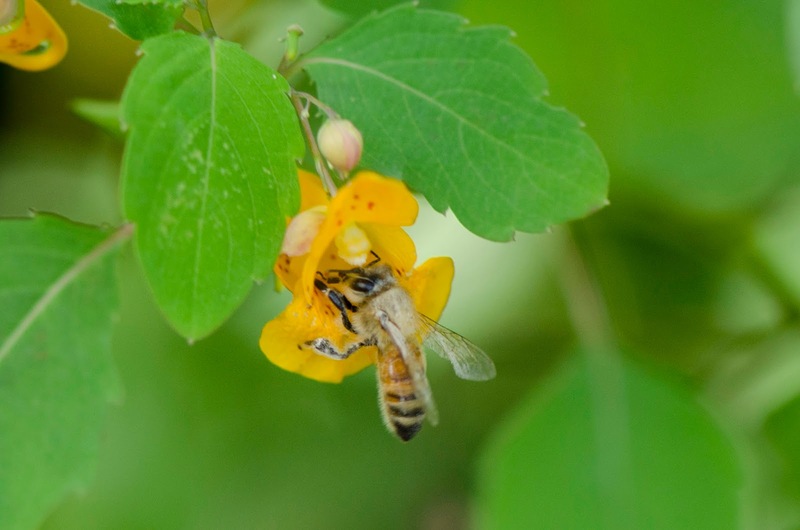 So many interesting insect jobs being performed all around us!